How did you spend your weekends as a kid? The norm for our family was to go to the Cherokee Stomp dance on Saturday night, then the next morning we would go to Sunday school at church. My mother was Cherokee; however, my father was not, and he was a Baptist preacher. I lived in two worlds. Sometimes it seems you and I are living in two very different worlds. The tribal community which is based on thousands of years of language, drum, stories, traditions, etc., and the dominant society which is a fast-paced, technology-driven and constantly changing. One world has had thousands of years of moral compass for teaching our youth, while the other world, at times, seems to have little moral compass at all. As Child Safety Advocates, we have our plates full as it is; but in Indian Country we may need to enlarge our plate or at least make room for more. 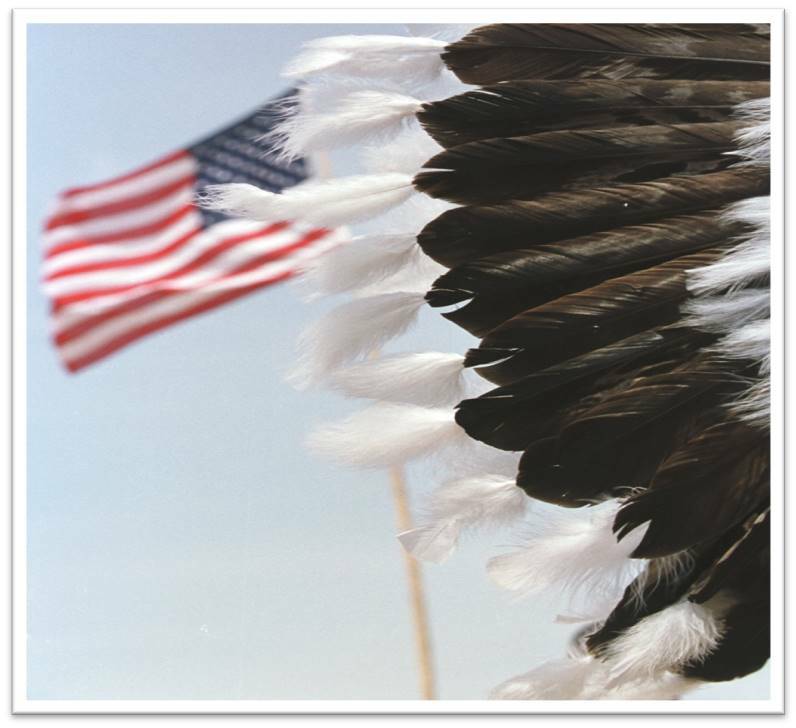 According to the latest United States census, only 1.5% of the population is Native American/Alaska Native (NA/AN). Did you know that according to the Aspen Institute’s Center for Native Youth, over 1.1 million indigenous American Indian/Alaskan Native (AI/AN) youth (25%) are under the age of 24? More importantly for us, consider that 1/3 of these 1.1 million youth live in poverty. If you are like me, your eyes begin to glaze over after so many bits of data and statistics, but bear with me. If we want to do the best job of child safety, we need to be knowledgeable of the two worlds in which we all are living. The latest data for our native youth tells us that in the 12-20 age group, violence, suicide and homicide account for 75% of deaths. Read that sentence again, and really let it sink in. Telling also, is the fact that the remaining 25% of deaths among this age group are listed as accidents. In the 15-24 age group, suicide is the 2nd leading cause of death - 2 to 5 times the national rate. If we as Child Safety Advocates stop and think about these statistics, it stirs many emotions. But in our lines of work, it gives us ammunition to try everything in our power to change things for the betterment of our native youth and the future of our tribes. Considering what the eyes of a 10-year-old see, and what that child’s ears hear, may help us when working directly with our native children. Our native youth are so often in desperate need of positive role models, and you can be that positive role model! Statistics indicate the majority of juvenile crime happens from 3 p.m. to 9 p.m. during the school year, with the majority of crime on non-school days occurring between 8 and 9 p.m. at night. One could assume that as soon as adult supervision is taken out of the equation, the easier it becomes for juveniles to get into trouble. The reality our youth face in today’s world is this: if you are an unsupervised juvenile, you do not have to look for trouble; trouble will find you. People, no matter what age, have common needs. You, I and even our youth have the following in common: We all have a need to belong. We all want to be good at something…anything. We want to feel useful; and we want to have some influence, even if it’s just someone listening to what we have to say. Since trouble is easy to find, think about these needs. This is how and/or why juvenile gangs are created. The gang gives the youth a sense of belonging, usefulness, competency, and influence. Of course, gang activities are a negative way of obtaining these basic common needs. If we as Child Safety Advocates can redirect these fundamental and important needs in a positive way, we can help our youth to live better lives, and improve our ability to work with and support them into bright futures. As Police Officers and Child Protection Workers we are looked up to by many young people; but some youth may be intimidated by us. Many of those who are intimidated may be copying their parent’s behavior. In our dealings with native youth, let us keep in mind the two worlds they are trying to navigate. You and I have balanced the two worlds fairly well, or we wouldn’t be doing all we do for our tribal youth. As figures of authority for our youth, we can have a great impact, either positive or negative. Let us never forget that this impact can last a lifetime in their hearts and minds. My AMBER Alert in Indian Country colleagues and I look forward to sharing our experiences with you, and more importantly, learning from you and your community as we venture forward together. Please follow our blog, and share with us your comments and thoughts on topics for future posts. There is no word for good bye in the Cherokee language. What we say is Do Na Da Go huh I (Doe Naw Daw Go Huh ee).